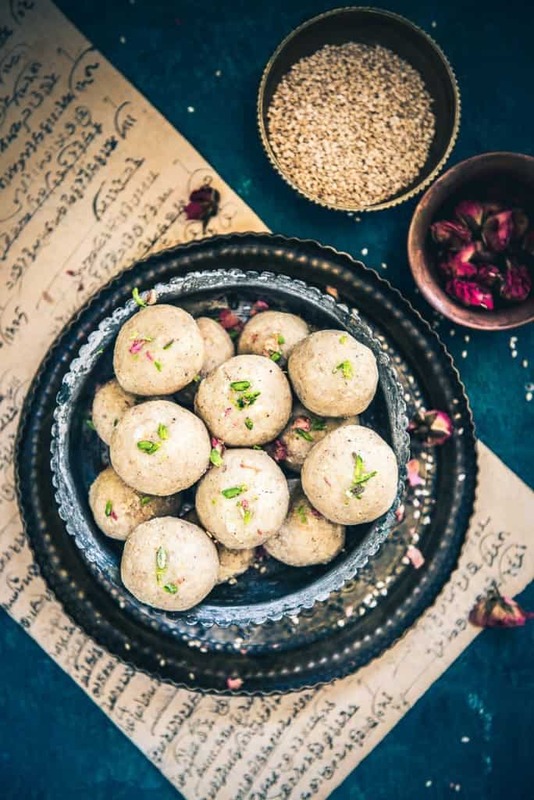 In this recipe of Til Mawa Ladoo, we use the distinctively nutty flavor of til blended with Mawa (Khoya) to create a perfectly sweet Indian Mithai. Make it for festivals or eat one laddu a day in winters to keep up with the Indian cold climate. So waiting for what? Check out the recipe to make Til Mawa Ladoo now. Sesame seeds, or Til as we know them better, are one of the most commonly found ingredients in Indian kitchens, part of the reason being til can be easily combined with other ingredients to come up with easy sweets such as the Crispy Til Chikki or the Til Gud Poli. Sesame is highly nutritious, another major reason why it is favored by many. It has high iron content and also keeps you warm in winters. In this recipe of Til Mawa Ladoo, we use its distinctively nutty flavor blended with Mawa (Khoya) to create a perfect recipe to satiate your sweet tooth. 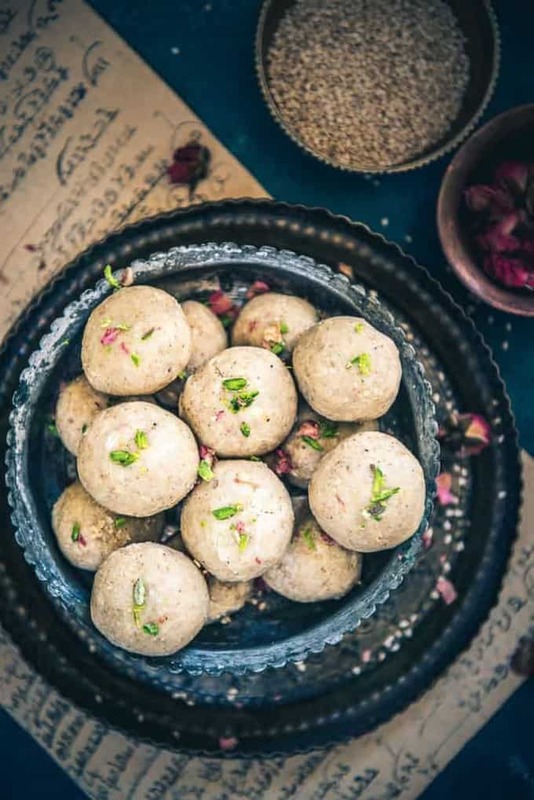 Simple yet appetizing, this sweet is a traditional must-have on festivals such as Makara Sankranti or Lohri and forms a nostalgic connection to your childhood, reminding us of our good old days spent at Nani’s place. Getting nostalgic? For a more filling option, why not try the Til Wale Sookhe Aloo recipe? And for all the Paratha lovers out there, I have your back with this recipe of the Til aur Gur ke Parathe. 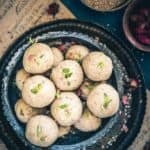 In this recipe of Til Mawa Ladoo, we use the distinctively nutty flavor of til blended with Mawa (Khoya) to create a perfectly sweet Indian Mithai. Make it for festivals or eat one laddu a day in winters to keep up with the Indian cold climate. Heat a pan and dry roast the til until slightly browned. Remove them on a plate and let them cool. Grind in a blender to make a coarse powder. Heat mawa in the same pan and cook for 5-6 minutes. Add sugar, powdered til, cardamom powder, almonds and cashew nuts in it and mix well. Grease your palms with ghee and take small portions of the mixture and shape them into round ladoos. I recently came across your site.. it is an amazing treasure-trove of all the recipes that I was always looking for. I will be trying out many of these soon. I am glad you found us 🙂 Do try out the recipes and leave us feedback.